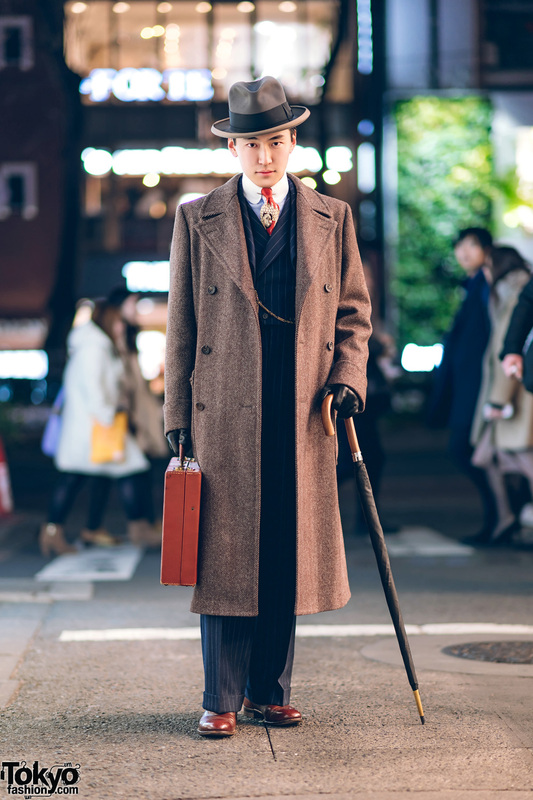 Harajuku guy in custom-made coat and vintage street fashion. 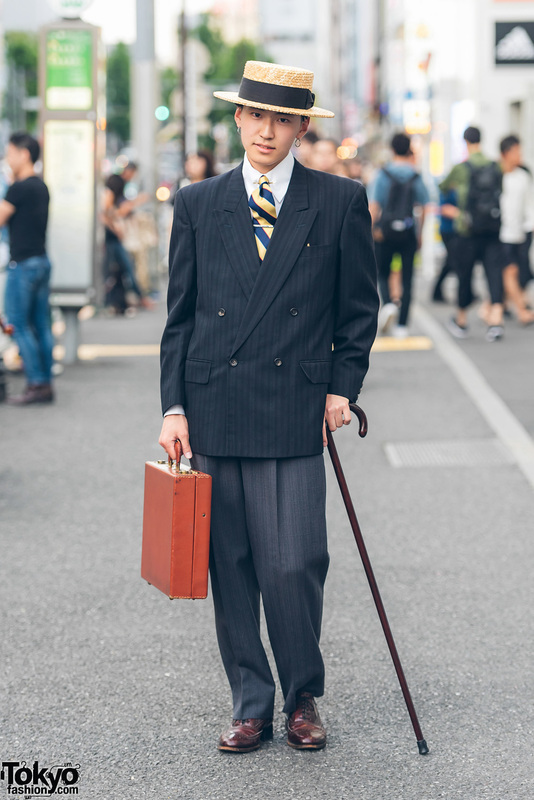 Japanese student wearing a vintage pinstripe suit and black monk strap shoes in Harajuku. 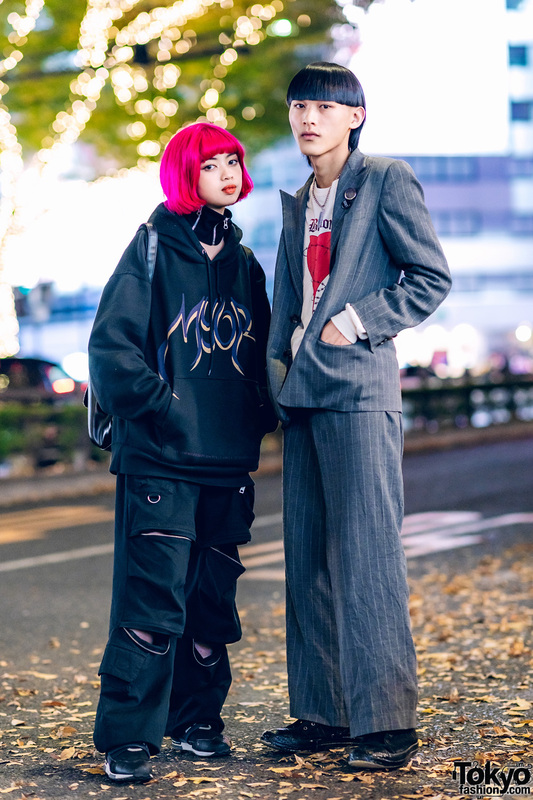 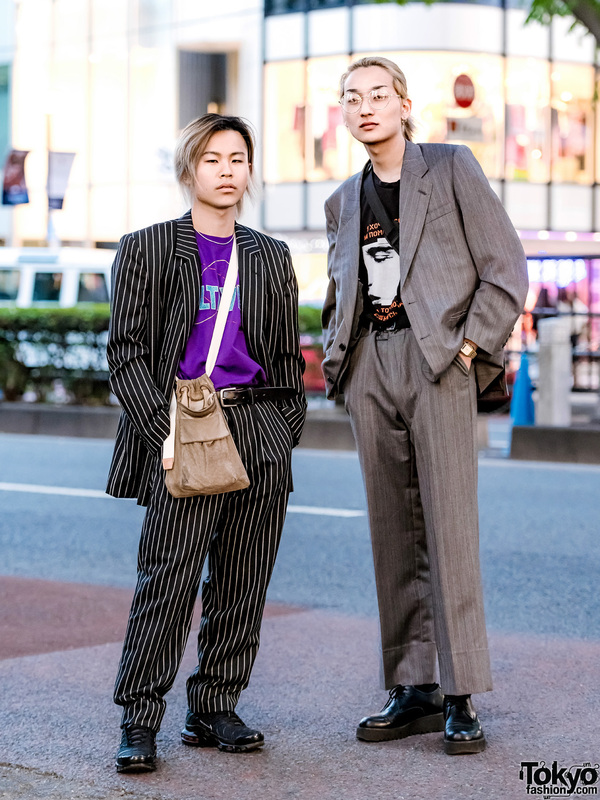 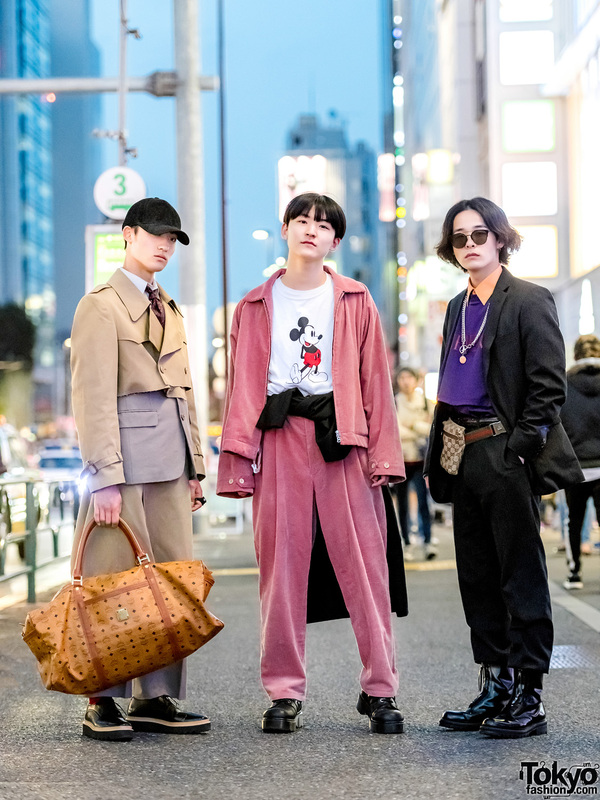 Harajuku guys sporting menswear suit styles while out and about on the street one late afternoon. 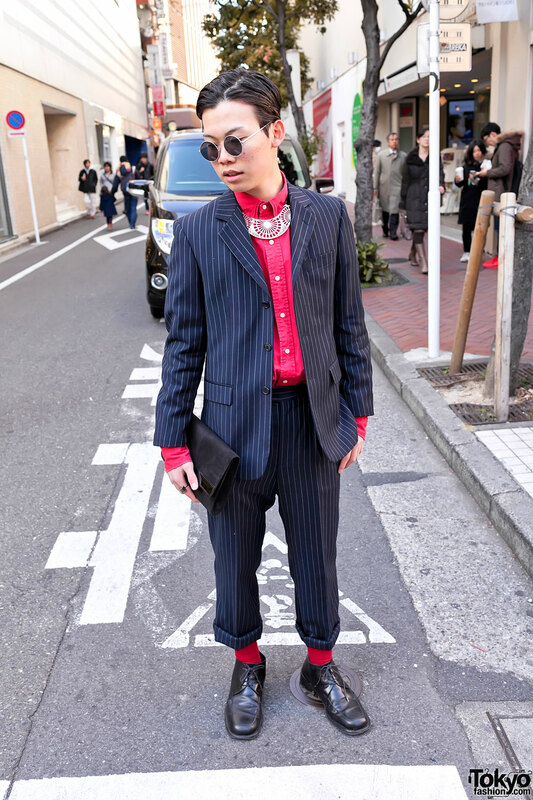 Retro-styled Japanese guy in Shibuya wearing a pinstripe suit, matching red shirt & socks, and dress shoes.